Easily Among the Best Halloween Events in L.A. Tired of chainsaws, maniacs, and phony fog? Looking for a more sophisticated way to enjoy Halloween in Los Angeles? 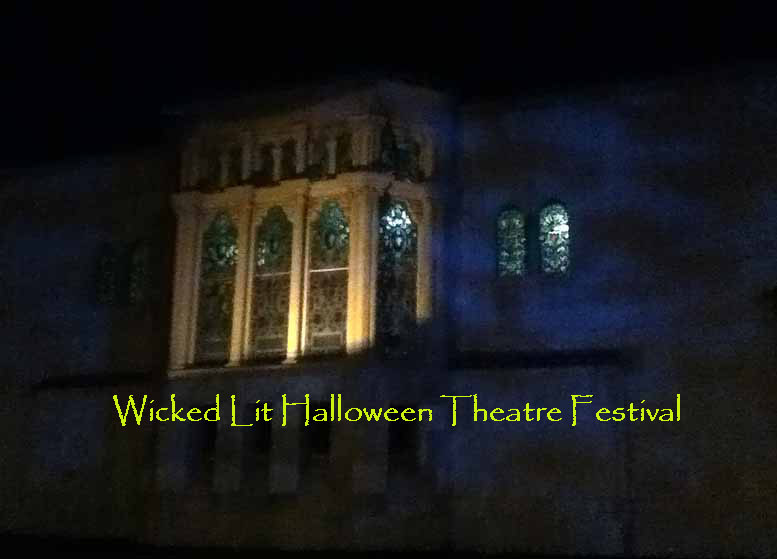 Then you must – absolutely must – visit the Wicked Lit Halloween Theatre Festival. Eschewing the jump-scares seen in other haunted house attraction, Wicked Lit Halloween seeks to terrorize you on a more profoundly disturbing level with its darkly dramatic stories staged in real locations. 2018 Dates: October 4-7, 12-14, 18-21, 24-28, 31; November 1-4, 8-10. Tickets: prices vary by date, starting at $30. 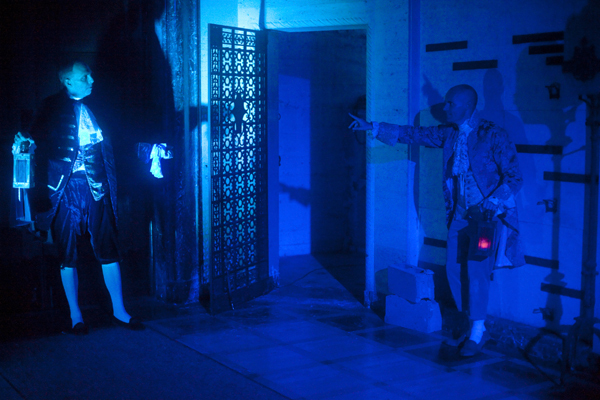 2018 Update: Unbound Productions presents a smaller version of the Wicked Lit Halloween Theatre Festival for its 10th anniversary, including two plays staged entirely indoors at the Mountain View Mausoleum. This year's adaptations are Charles Dickens' The Chimes: A Goblin Story (previously seen in 2010 and 2011) and Ernest Rhys' Teig O'Kane and the Corpse. There will be no pre-show, but there will be an exhibit of costumes and puppets from past years. Performances run 75 minutes. Wicked Lit offers new plays, based on classic Gothic literature and staged in unconventional venues. 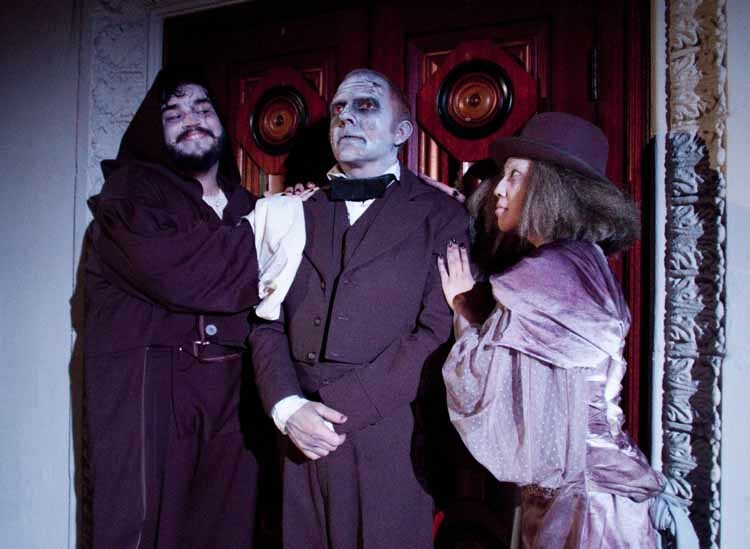 Unbound Productions launched the annual Halloween theatre festival in 2009 at the haunted Greystone Mansion in Beverly Hills; since then, Wicked Lit has been performed on the grounds of the Mountain View Mausoleum in Altadena." Audiences should expect to get some exercise. 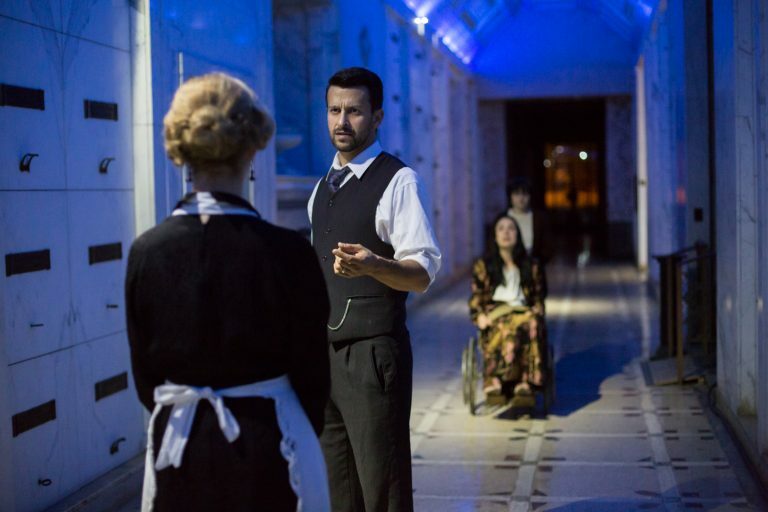 Though seating is available during most scenes, these are "walking productions" staged at night on the grounds of the mortuary and cemetery, and audiences are expected to keep up as action moves from one location to the next. Wear comfortable shoes, and be prepared for cold weather (and even rain) outside. LA LLORONA, adapted by Jonathan Josephson, directed by Paul Millet. The Mexican folk legend La Llorona (“The Weeping Woman”) tells the story of a desperate mother who murders her children by drowning them in a river. But what compels her to commit such an atrocious act? Fear? Insanity? Spite? Procession? Conveyed through dialogue, storytelling, dance, song, and music, this new adaptation will plunge audiences into five different perspectives of this haunting cautionary tale. Beginning with the legend’s historical origins in 16th Century Mexico and ending in modern day Los Angeles with a story that was inspired by actual events, this senses-blasting theatrical event is unlike anything ever produced by Unbound Productions. 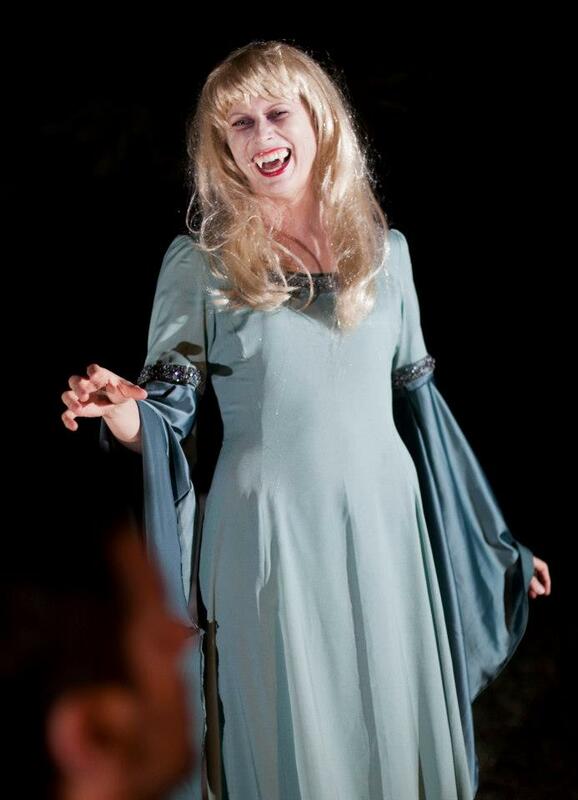 DRACULA'S GUEST by Bram Stoker, adapted by Dan Leslie, directed by Jeff G. Rack. Determined Brit, Jonathan Harker has travelled to Romania to meet with a mysterious Count about selling him property in London – but he can’t get a coach. He is only a few miles from his destination in the Transylvania mountains, but on Walpurgisnacht, only one man is willing to make the sacrifice to get him up the hill. What are the villagers so afraid of? Originally written to be the first chapter of the groundbreaking horror novel Dracula, this chilling short story was published posthumously by Bram Stoker’s wife in 1914. THE MONK, inspired by the novel by Matthew Gregory Lewis, adapted by Douglas Clayton, directed by Debbie McMahon. Matilda has journeyed to Italy to seek the help of a clergyman who is known not only for his skills as an orator but for his ability to help those oppressed by the church. To what lengths will she go to secure her future – and at whose expense? This stylized, lyrical production examines the faces of sin in all of its many forms. For Halloween 2014, Wicked Lit introduces a Back Stage Experience, which takes place after each performance, with the producers and directors escorting a dozen members of the audience (for an additional charge) to the show's various locations and explaining behind-the-scenes details of mounting the production. 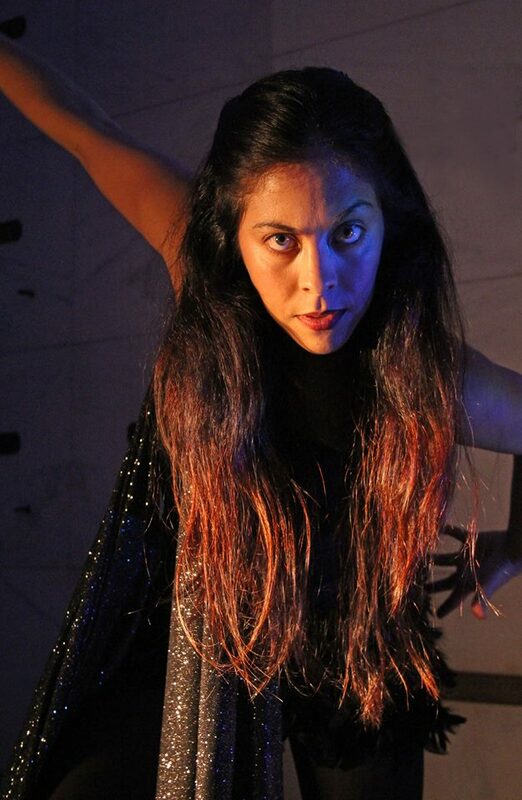 Unbound Productions returns to the Mountain View Mausoleum and Cemetery for another season of Halloween horrors, featuring a trio of plays based on classic supernatural fiction, intertwined with a theatrical "experience" filling the intermissions between performances. 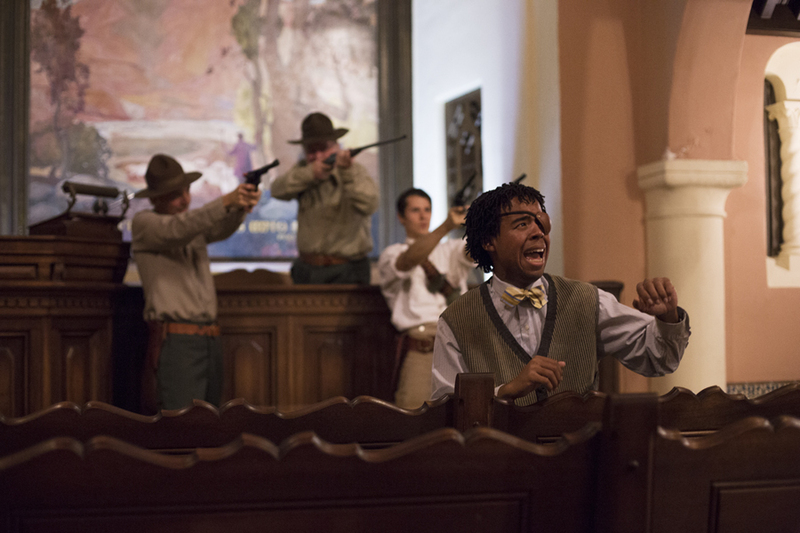 As before, audiences will be experience the action in real locations (corridors, an art gallery, a chapel, a cemetery), through which they will be led by Story Guides (narrators who may serve double duty as characters), creating an immersive sense of vicarious participation as the dramas unfold. Before and between the three one-act dramas, the audience will be be treated to THE MASQUE OF THE RED DEATH EXPERIENCE, a series of vignettes inspired by the works of Edgar Allen Poe. Read our Wicked Lit 2013 Review. Also check out our 2013 Halloween Haunt Awards, which selected Wicked Lit as the Best Halloween Event in Los Angeles. This season introduced the concept of interstitial performances - poetry readings and improvisation bits with the supporting actors and tour guides - to fill in the down time between each play. Wake Not the Dead by Johann Ludwig Tieck’s vampire story. Adapted by Paul Millet. Directed by Douglas Clayton. Walter was willing to do anything to resurrect his first love, but some bargains should never be made. Now he must turn to the only person left who can help him confront his immortal creation ~ his wife. The Dead Smile by F. Marion Crawford. Adapted and directed by Jeff G. Rack. A horrible family curse, spirits from the past, and a disfigured, manipulative parent attempt to keep two young lovers apart in this classic chiller, guaranteed to put a smile on your face. Count Magnus by M.R. James. Adapted by Jonathan Josephson. Directed by Paul Millet.Mr. Wraxall is a British travel writer who has journeyed to the town of Vestergothland, Sweden in search of something captivating to report back to his readership. The only thing interesting about the village are the rumors of a long-dead nobleman who used to terrorize the countryside with his violent sense of justice. Mr. Wraxall is determined to satisfy his readers and his own personal curiosity about the haunting secrets that float about this strange little town – but will he lose (his) face in the process? Raymond Barcelo, Skip Pipo, and MarcyK. Hiratzka in "A Ghost Story"
Robert Louis Stevenson’s The Body Snatcher. Adapted and Directed by Paul Millet. In Nineteenth Century Scotland, Mary Fettes plans to become the first female medical student at the University of Edinburgh – but horrors await that will change her forever. This was Wicked Lit's first year at Mountain View Mausoleum and Cemetery. Brian David Pope and William Joseph Hill in THE CASK OF AMONTILLADO. Photo by Daniel Kitayama. Adapted by Paul Millet, Directed by Jonathan Josephson. Journey to the catacombs for a stirring retelling of Poe’s classic tale of madness, unrequited love, and deception. Adapted and Directed by Jeff G. Rack. Two men – one a dealer in ancient artifacts, the other a follower of the occult – enter a graveyard on an ominous evening. If all goes according to plan, only one will return home. From Beyond with Dustin Hess and Eric Keitel. Photo by John Thvedt. Wicked Lit: From Beyond. Photo by John Thvedt. From Beyond: Richard Large and Eric Keitel. Photo by John Thvedt. Joe Camareno as the sinister Story Guide. John-T-Cogan and Eric-Keitel in Dracula’s Guest. Photo-by-Daniel-Kitayama. Vampire Hunter John T. Cogan confronts blood-sucker Angie-Hobin. Photo-by-Daniel-Kitayama. Angie-Hobin in Dracula’s Guest. Photo-by-Daniel-Kitayama. Note the quote from Hollywood Gothique. We meant every word. Eric Keitel in “The Lurking Fear.” Photo by Daniel Kitayama. Ilona Kulinska and Eric DeLoretta in “The Legend of Sleepy Hollow.” Photo by Daniel Kitayama. Susannah Mryvold and Katie Pelensky in Wake Not the Dead. Photo by Daniel Kitayama.